clever. "place shoes here. buy shoes here." 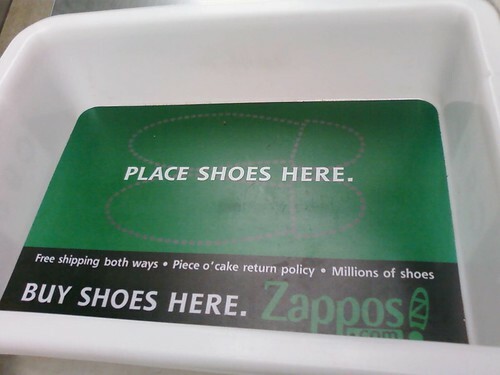 kudos to zappos for finding an opportunity here! they are a great store and their 'piece o' cake' return policy is exactly just that.